Few pieces can stand the test of time quite like those of Stickley Furniture. High-end craftsmanship, attention to detail and timeless design make this brand a legacy, carried on by family, passed down through generations. Still manufactured today and seen in many homes, Stickley Furniture takes a more classic approach to their work, offering high-quality products that are built to last. Let's delve into the world of Stickley Furniture to learn more about how the legacy began and what makes these pieces truly unique. Getting their start in the early 20th century, the Stickley brothers emerged with a new type of product...one that was designed of the finest quality and built to last. These pieces were built with honor, pride and integrity and emanated lasting design and master craftsmanship. The Stickley family desired that their furniture provided not only a decorative status in the home, but that it also provided function in the space. When the Stickley brothers passed away, the legacy was carried on by the Audi family, who still continues to design and manufacture premium hardwood furniture, with the Stickley name, to this day. Every Stickley product is built with 'The Stickley Difference' making it a step above the rest. Instead of just another object in the home, the Stickley legacy intends for these pieces to be heirlooms, which are passed down and treasured from generation to generation. The Stickley brothers believed that furniture shouldn't be fake or gaudy, but high-quality and classic, thus making Stickley Furniture a trailblazer in the industry. The products and collections under the Stickley name are impressive and there is a wide array of options when it comes to finding the collection that speaks to your style. Vintage design is still seen in many homes, due to the fact that these products were built to last for decades, not for a couple of years, like many new products on the market today. 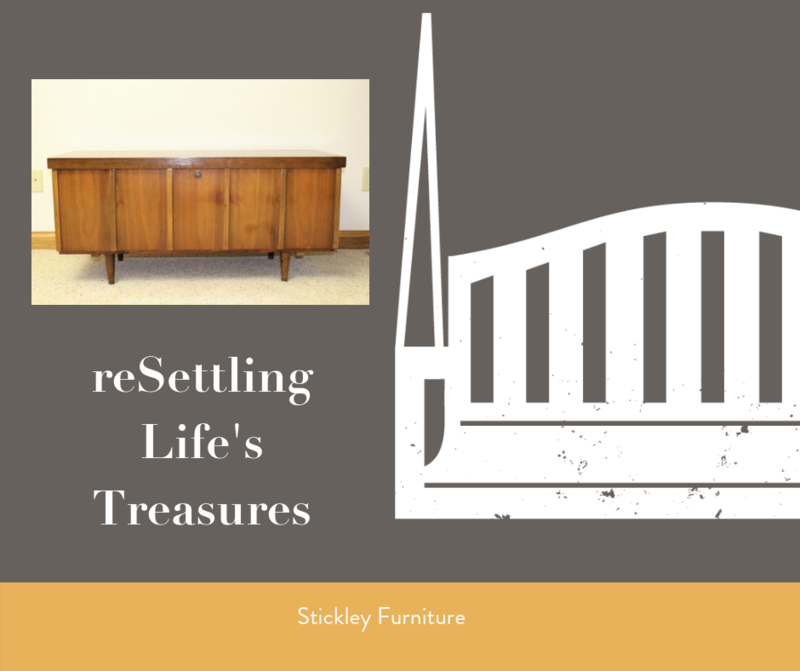 Families want pieces that they can pass down through generations, which is why you can still see classic pieces from Stickley and other vintage furniture manufacturers, such as Sikes & Henredon, grace many homes today. The Stickley family makes a wonderful point...your furniture is there through all aspects of your life. You eat dinner around the dinner table, share stories on the sofa and put your children to rest in their beds. So much time is spent living on our furniture, so why accept anything less than perfection?